How could I have forgotten to add this one?! It was my bible from about ages 17-19. When I used to harbour the secret hope that Jim Morrison was actually still alive, and maybe one day I'd walk around a street corner and..... there He'd be. Sigh. 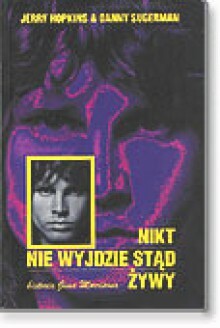 The first book I read about Jim Morrison and still my favorite. It was because of this book that I read Jack Kerouac, and got into poetry, and started looking into Andy Warhol and the Velvet Underground. Sure its a sanitized version of his life, but I still like this book. Read this when I was 12, when it first came out. Carried it around like a bible for 4 years if I recall correctly.Made me want to read, write, and inhale anything that was not part of the pre-digested and regurgitated 80s culture. It made me a rebel.